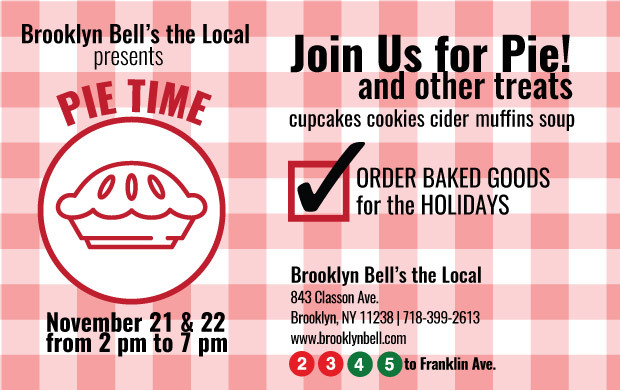 This Saturday & Sunday from 2 pm to 7 pm come to Brooklyn Bell’s the Local and choose from a variety of tasty treats like freshly baked pumpkin pie, warm apple cider, or creamy butternut squash soup. 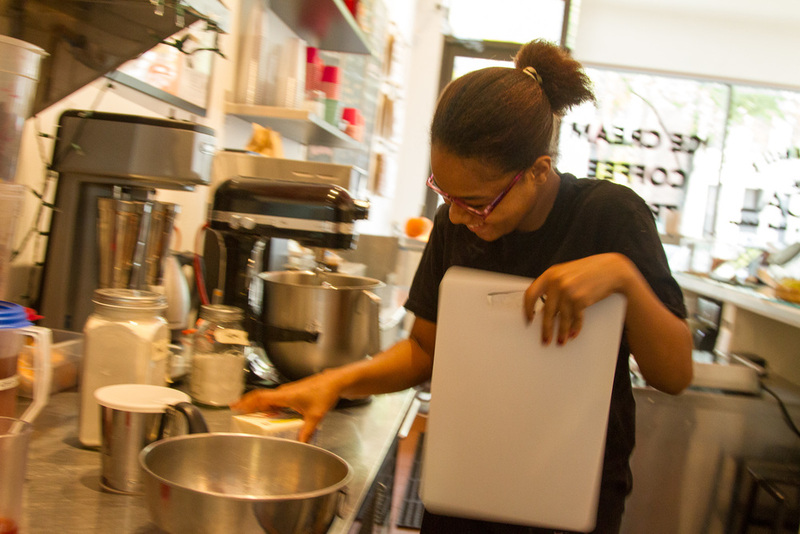 Place an order for our handcrafted pies, cupcakes and muffins, made by our very own baker, Shyneque. It will be a major check mark off your Thanksgiving dinner “to-do” list.